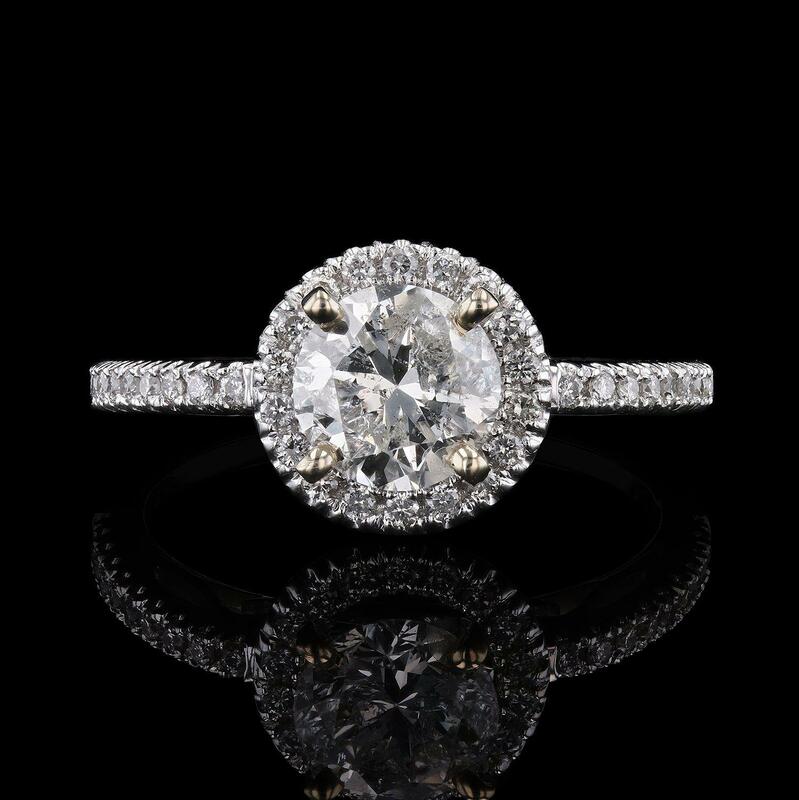 One electronically tested 18K white gold ladies cast diamond ring with a bright polish finish. The featured diamond is set within a diamond bezel, supported by diamond set shoulders and completed by a two millimeter wide band. Identified with markings of "750". Condition is new, good workmanship. One prong set round brilliant cut diamond, measuring 6.52 - 6.41 x 4.06mm exact weight 1.05ct with a faint fluorescence. Graded loose prior to setting in the EGL Laboratoy, Report #US 904893802D. Fifty-Eight prong set round brilliant cut diamonds, measuring 1.10 - 1.00 x 0.63mm (depth est.) approximate totla weight of 58 Stones = 0.25ct. Graded in the setting.